Dodge Ridge is by far the closest snow to Bay Area & Central Valley locations! Click on the “directions” link in the map below to get directions to Dodge Ridge from wherever you are. Click on the “view larger map” link in the map below to get directions to Dodge Ridge from wherever you are. Highway 108 connects Dodge Ridge to the San Francisco Bay Area via Interstate 580, Route 205 to Interstate 5 North. Merge onto Highway 120 East at exit 461, toward Manteca/Sonora. In Oakdale, turn left at F Street to merge with Highway 108 East toward Sonora and follow 108 for 60 mile to Pinecrest & Dodge Ridge turnoff. Dodge Ridge is located 30 miles east of Sonora, near Pinecrest, just off of Highway 108. Turn right off of 108 onto Pinecrest Lake Road – if you get to Strawberry you’ve gone a bit too far. About a 1/3 mile down Pinecrest Lake Road take the first right onto Dodge Ridge Road. We’re just a few miles up the road. You’re welcome to call us at (209) 965-3474 if you need more specific directions. Take Pacheco Pass (Hwy 152) to Los Banos, Route 165 North to Turlock, Hwy 99 North to Modesto, Hwy 108 to Pinecrest & Dodge Ridge. For current road conditions, please call Caltrans: 1-800-427-7623 or visit the Caltrans website (enter Hwy 108). We groom miles and miles of groomers every night to ensure great snow conditions every day – that’s our promise. Dodge Ridge is by far the closest snow to bay area and central valley locations. With no mountain passes to traverse, with a majority of the drive below snow line – that’s a fact. Our snow phone (209-536-5300) has all the info you need, but we’d like to make your access to highway 108 conditions as easy as your drive to Dodge Ridge. Check out the links below or hop on facebook to follow your favorite news station on facebook and ask for winter road conditions for highway 108 in the ski and road reports. 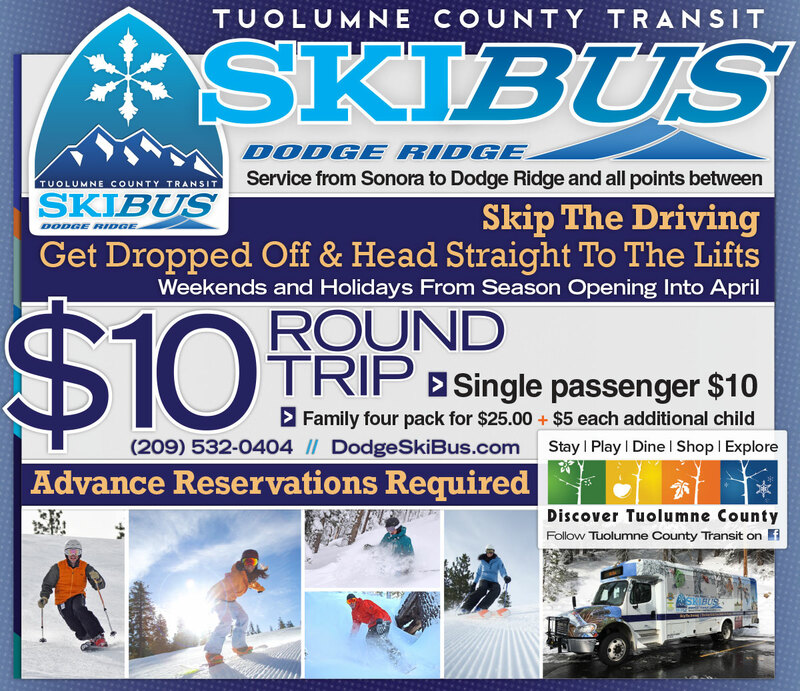 Get the conditions for the day while watching your morning news, and then be on your way to a great day of Skiing + Riding at Dodge Ridge!